Keep your pool and spa looking like new with service from Burlington’s own Bruesewitz Plumbing, Inc. With 30 years’ experience, our highly trained professionals will always make sure you’re completely satisfied with our service to keep your pool and spa running smoothly. 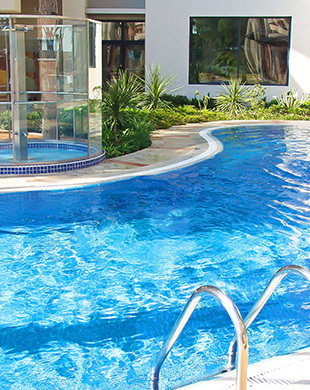 When it comes time to opening your pool for the season, let us handle all the dirty work. We’ll make sure all your filtration and water systems are up and running and that the chemicals in your pool are properly balanced. We’ll also help you close up your pool at the end of the season.